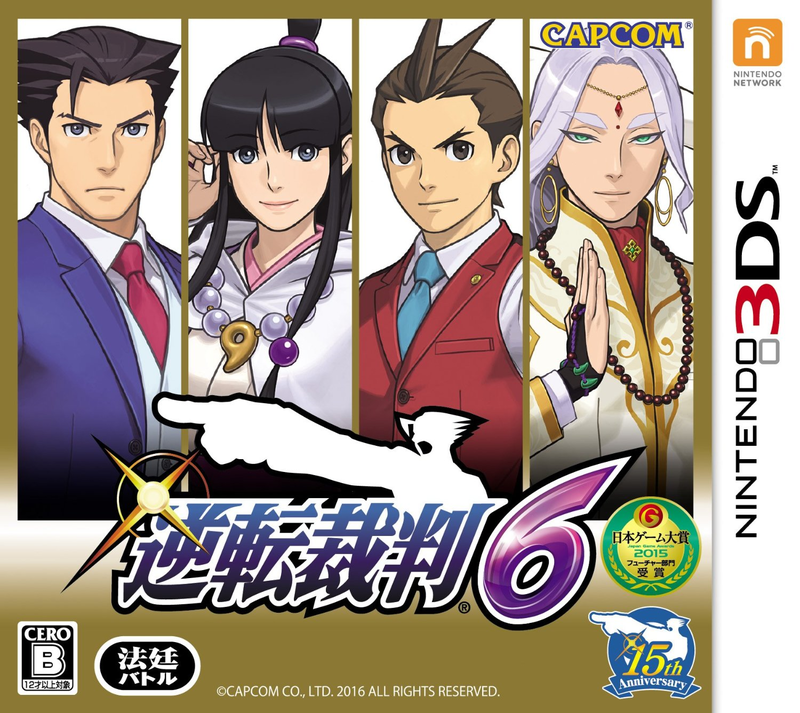 Capcom released new information two months ago on a game in the works called Ace Attorney 6. The original release will be in Japan, but there might be a western release as well. The revolutionary’s not the only one with the same icon, however. There’s someone else with this same badge. The man talking with the law enforcement, the prosecutor, will take care of the revolutionary, now. He’ll “aid the soul of this sinner”. 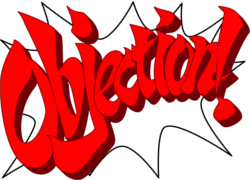 Now we’re heading all the way over to Japanifornia, where legendary Phoenix Wright is in court yelling his famous catchphrase… OBJECTION! What’s going on right now? Turns out he’s battling in court with the British, sword-wielding, poetic Simon Blackquill. Phoenix is arguing with Simon at the moment about… frozen pork buns? It becomes more clear when you watch on. The pork buns were frozen at the time of the crime (which was a murder, because yes, these games are not Everyone or Everyone 10+…), and they could have been used as a murder weapon! Whoops! There goes Simon’s sword, slicing the wrap covering the pork buns, and sending them flying, where trusty Athena Cykes catches the falling food (hilariously, might I add). 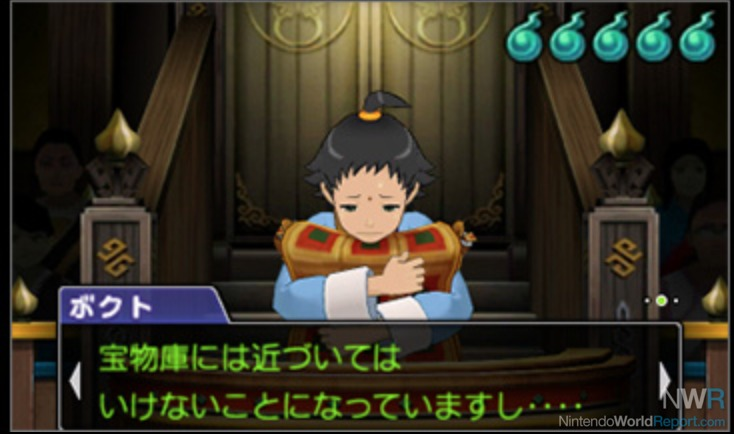 Apparently there’s no proof that these pork buns in Athena’s hands and mouth were frozen during the murder. Really? Because Athena’s pretty confident they’ll find something to show that the food was indeed frozen at the time. The judge we all know and love decides to postpone the trial to tomorrow. Wait, Athena! In her anger, Athena has now eaten evidence. Dim sum, might I add. She’s extremely confident they can finish up this trial by tomorrow. 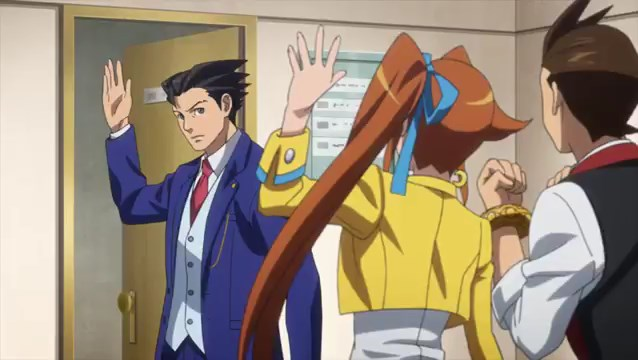 Court is adjourned, and Apollo Justice greets Phoenix and Athena outside of the courtroom. During their conversation, Athena’s AI partner/necklace (who literally blurts out Athena’s thoughts, as you’ll see soon), Widget, yells that the talking necklace (and Athena) are hungry. However, Phoenix has other plans. He wants to head back to the Wright & Co. Law Offices. Athena and Apollo agree, but before they can leave, some cherry blossom leaves blow by them. Wow, look at those cherry blossom trees! They’re all blooming! Athena also remembers and reminds Phoenix that Ms. Maya’s training is almost over. Maya? …Wait, so she’s passing the Kurain Spirit Channeling Special Training Course, and she has more than 4 pearls around her neck (because the number of pearls you have represents how far you’ve gotten in your training), and she’s supposed to become the next Master of Kurain soon, after her deceased mother, Misty Fey, who died in Trials and Tribulations (Whoops. Like I said, SPOILER ALERT). She even says “After all, how can I be a village chief if I haven’t finished my training?” Knew it! She’s almost ready to become the next Master of Kurain! The young boy even says she’s almost like a princess! Just like the country’s, right? Wait, “just like the country’s?” So she’s only the Master of the village of Kurain. Got it. Maya asks the young boy what “she” is like. Apparently, “she” is wonderful! M eanwhile, in the Kurain courts, what appears to be the defendant, a woman, and the Kurain version of the judge are standing before a big circle of light. Well, more like a hexagon. The defendant is denying something… And the princess’ oracle has passed judgement. Defendant still denies it. The woman (not to be mistaken with the defendant) insults the defendant, saying the oracle is always right, and calling the defendant a blaspheme. Who does this woman think she is, insulting people like this?! The judge ends the trial on a guilty verdict. The judge’s gavel slams down… but the defendant is still trying to fight the woman and the judge. She wants an attorney. An attorney, huh… however, no attorney is provided, and the defense’s bench turned out to be empty the whole time. The prosecutor’s, as well. The woman, still in court (even during a storm when the court has no roof), says that there is no need for attorneys in Kurain, because “the oracle spirit tells all”. Oracle spirit? Oh, the hexagon of light. The defendant gives the woman a look and still tries to argue, but is interrupted by the judge. The judge reminds that the attorneys of Kurain were found guilty of the crime of defense. What?! The judge also reminds that they were executed, as seen with the tombstones with the eyes of dragons on them. A mountain is by all of the tombstones, and someone’s at the peak. Who was that? Now we’re heading back to the Wright & Co. Law Offices, where Apollo is practicing his “Chords of Steel”. Athena joins in as well, while Phoenix is eating pork buns. HOLD IT! Are those pork buns the evidence? Suddenly, Phoenix’s phone goes off, and apparently he’s still got the Steel Samurai ringtone. Who is that? “Long time no talk, Nick!” Is that Maya calling him? 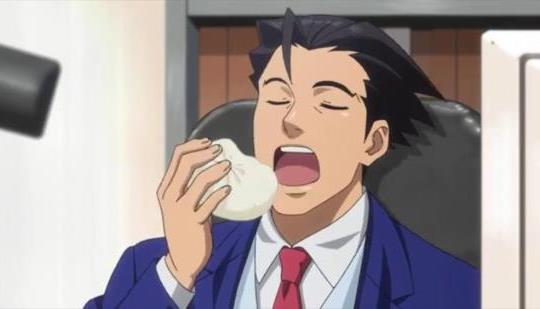 Sure is – Maya’s calling Phoenix from Kurain about her training, while eating what appears to be a doughnut with the young boy from earlier. Just then, a man, who appears to be the revolutionary from earlier, runs up to Maya. Then, the unbelievable happens. The revolutionary pulls out a knife and attacks Maya, who drops her phone. The law enforcement chasing the revolutionary come rushing for the screams, but the prosecutor from before steps in, dealing with the revolutionary. The revolutionary is filled with rage and tries to stab the prosecutor, but turns out he can do stuff like make people slower. That means the revolutionary misses, while the prosecutor does more magic, completely knocking the revolutionary out cold. Possibly even dead. Maya thanks the man who saved her, but discovers that her phone wasn’t saved. It won’t work anymore, which means Phoenix’s call was cut short. “Maya? Maya!” Phoenix is still trying to get ahold of Maya, but her phone was now in half, so don’t even try. Phoenix, Apollo, and Athena realize Maya’s not calling back, so Phoenix heads for Kurain, or the far west of Asia, in quite a hilarious montage. If you really thought that was long, that was an 8 minute anime PROLOGUE! 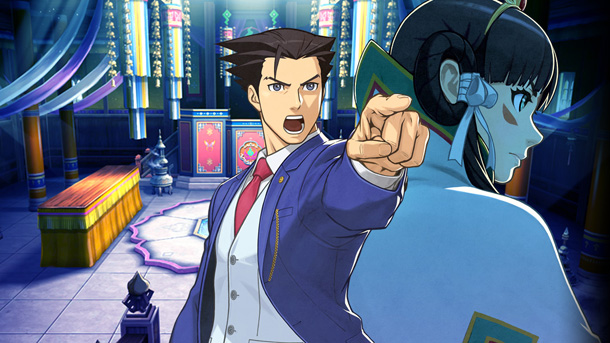 Judging on how long the other games in the series were, Ace Attorney 6 could be 20-50 hours long in gameplay! Get ready! If you want to watch the anime prologue, click the link to watch it in your own time! If you’re still interested, stay tuned! A Japanese release is set for June 9, and a western release could be sooner or later!